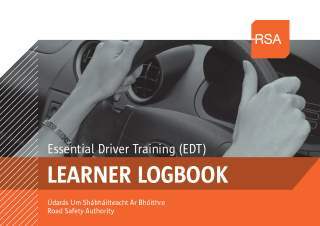 Essential Driver Training(EDT) is a training course teaching fundamental driving skills to learner car drivers. EDT is mandatory to all learners who received their first driving permit on or after 4 April 2011. There are 12 EDT lessons with each one a set syllabus that we need to do before the next one. You need to do the EDTs before you can apply for the Driving Test. The purpose of EDT is to teach you how to drive with good observation skill positing of the car with junctions and anticipation and reaction to hazards. At the start we will explain the EDT course and go thought the log book which records your progress in each EDT lesson. Each EDT has a set outcome for the driver but they are not tests. If you feel that you need more practice before your next EDT we can arrange some Practice lessons. At the end of your EDT course you should be able to drive independently and with out beckoning.